The fallout continues over Gordon Vayo’s probable submission of forged documents to PokerStars in an attempt to cover up his assumed VPN (virtual private network) usage during Stars’ 2017 Spring Championship of Online Poker (SCOOP), pretending to be playing from Canada when he was in fact playing from the United States. 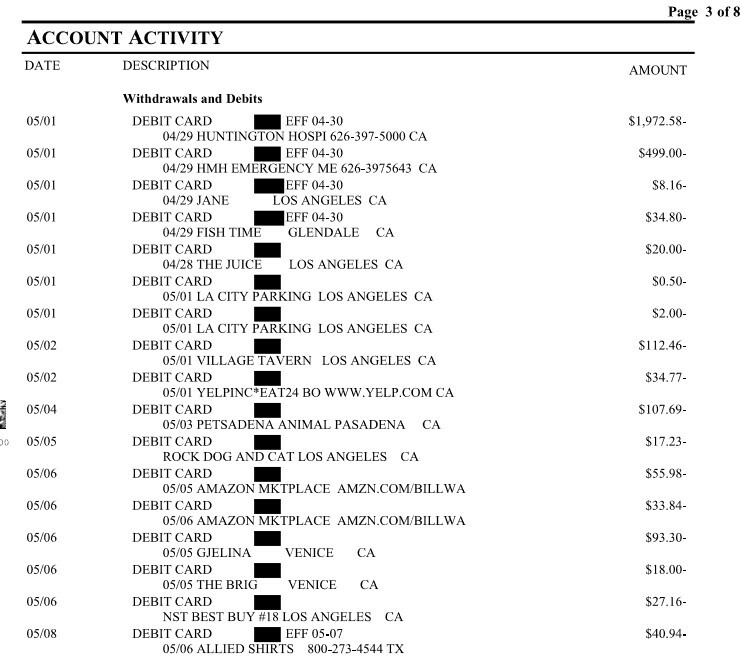 Flushdraw broke the story last week of Vayo’s alleged forgeries of bank and utility statements as Vayo attempted to force PokerStars to allow the withdrawal of roughly $690,000 from his frozen Stars account, culminating with Vayo suing PokerStars corporate parent Rational Entertainment Enterprises Limited (REEL) last May. Vayo’s chances of collecting those funds disintegrated in October with the discovery of the forgeries, Vayo’s voluntary dropping of the claims, and the voluntary withdrawal from the matter by Vayo’s original legal representatives. 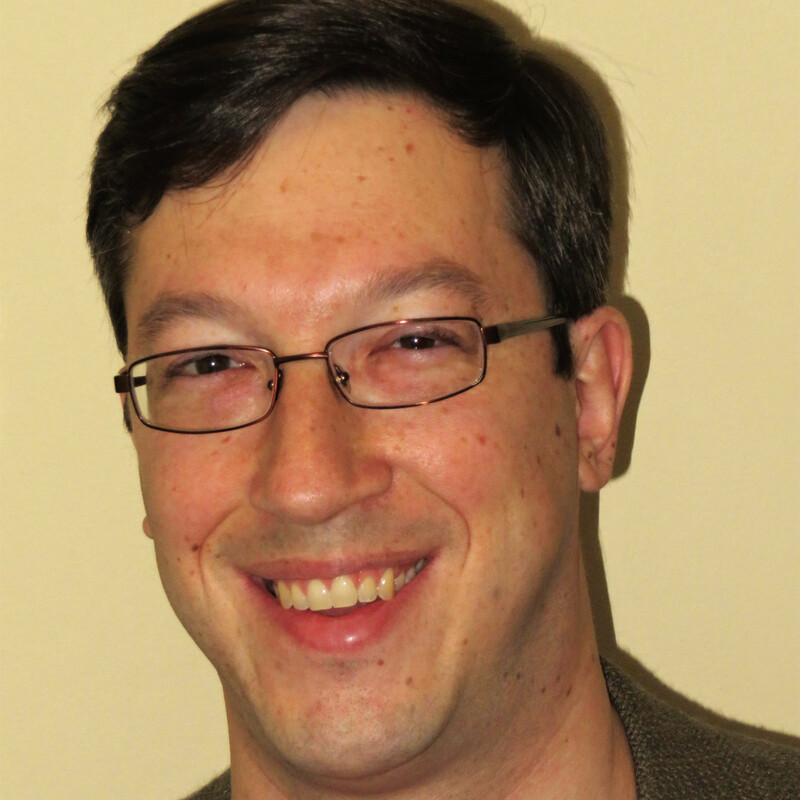 Even though the lawsuit has been dropped, however, there are still matters connected to the case that are yet to be resolved. 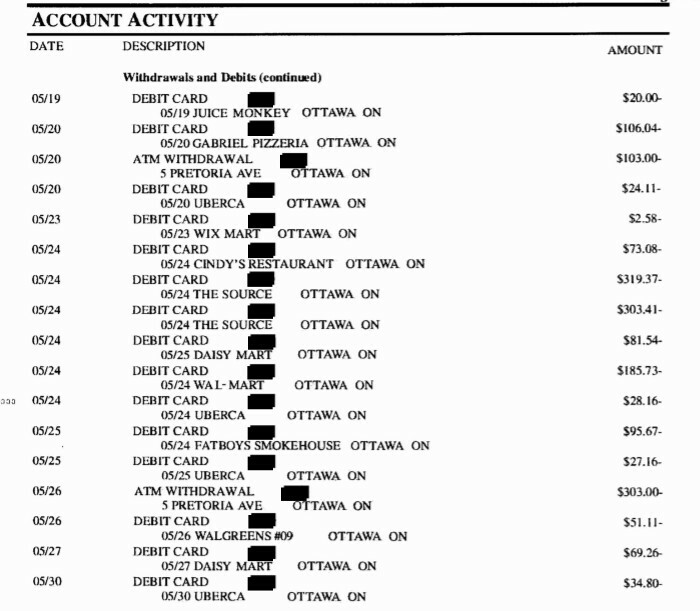 First among them is REEL’s counterclaim for damages, which begin at about $280,000 (largely legal fees), and are expected to head north from there. The next hearing in the matter is scheduled for December 18th, allowing time for Vayo’s new lawyer to craft a response to the counterclaim for expenses filed by REEL last week. 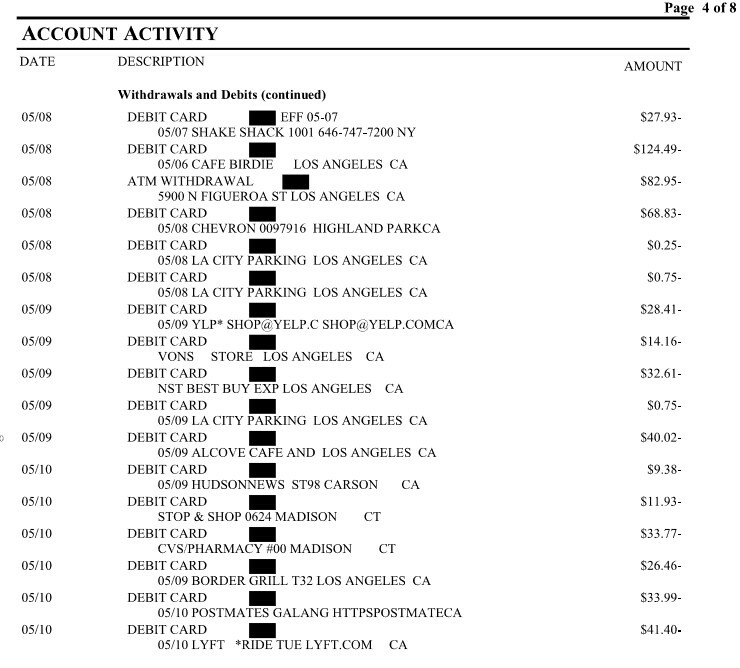 The crux of the forgery discovery and dropping of the case occurred between October 12, when Vayo’s attorney Gregory Fayer and REEL’s lead California counsel, Claude M. Stern, discussed the forgeries in what must have been a wild phone call, and October 14, when the lawsuit was dropped. Nonetheless, the action was voluntarily dismissed without prejudice on October 14th via an electronic submission by Fayer and his firm on Vayo’s behalf. 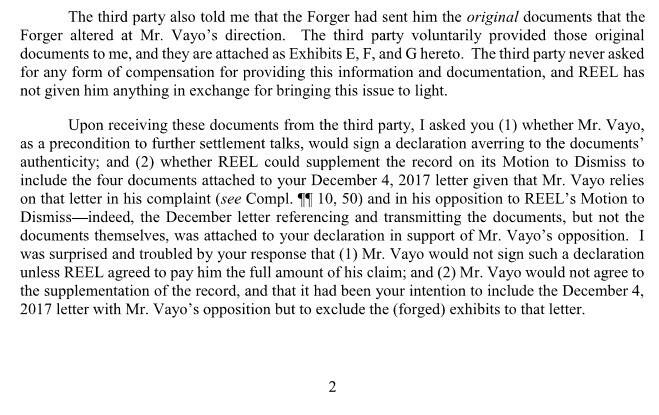 This is, at the very least, intriguing, as Fayer was also in the process of removing himself and his firm from representing Vayo, though that didn’t become official until nearly two weeks later, when Vayo obtained replacement counsel. 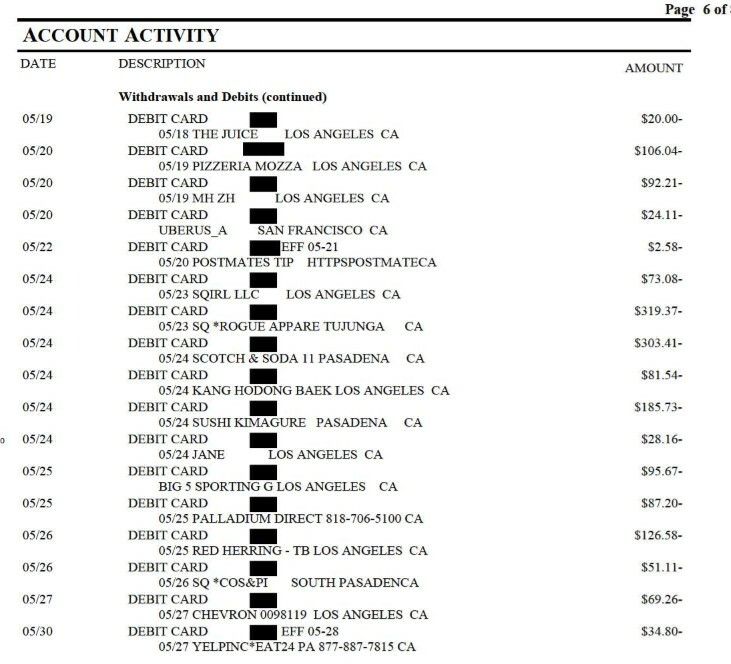 Fayer was notified by Stern in both the October 12 phone call and October 19 letter that he also faced possible legal difficulties had Fayer known about the forgeries. 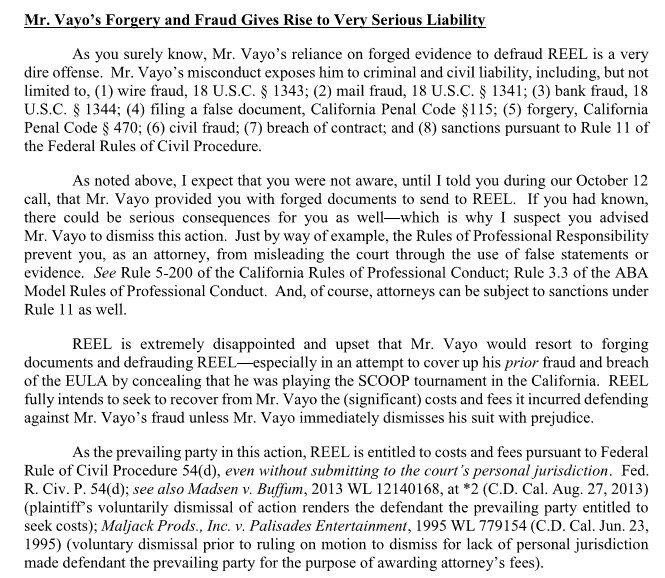 It turns out that REEL’s California counsel, Stern, received what were later determined as forgeries from Fayer, who obtained them from Vayo. However, Fayer refused to allow those documents to be introduced as official court exhibits, meaning additional intrigue about who knew what. 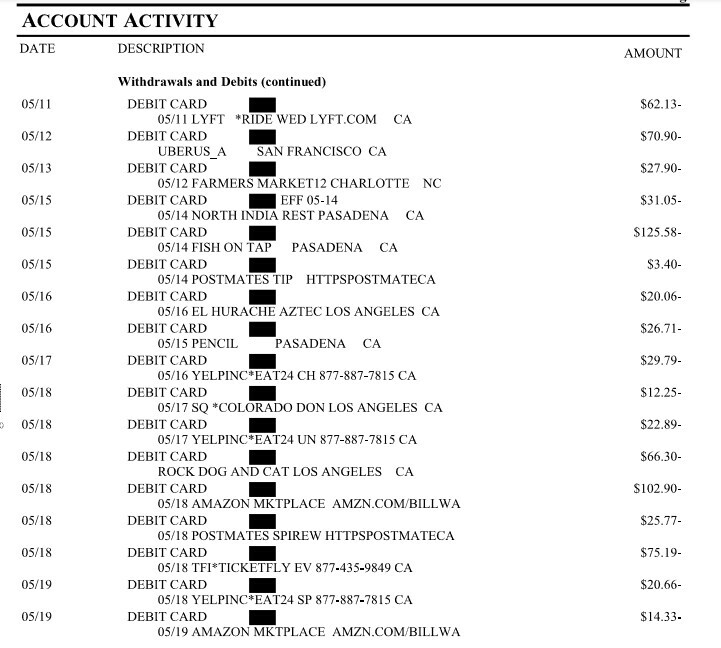 The letter than included over a dozen visual examples of problems, particularly focusing on the bank-statement headers with mismatched and erroneous data. 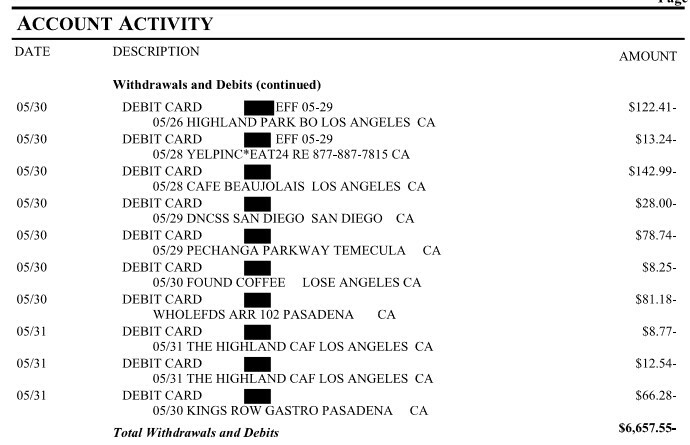 As Stern indicated, this was sufficient evidence of the claimed fraud and forgery in and of itself. 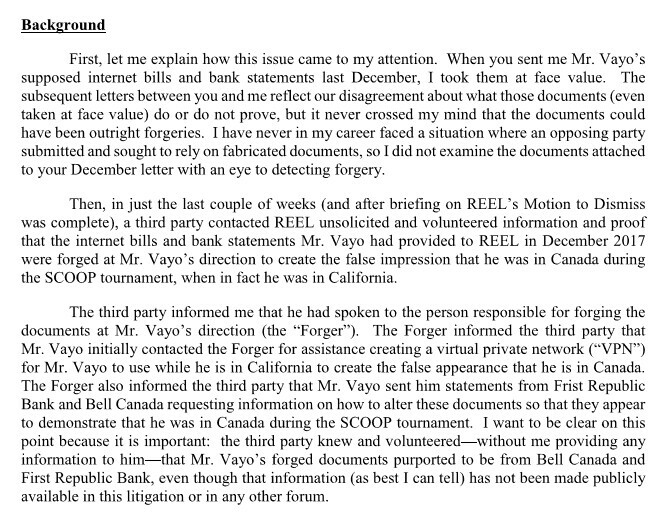 The intent of all this stuff was to demonstrate that Vayo was indeed in Canada, and as for the gap between May 20 and May 24, that was when Vayo (as Fayer claimed in one piece of correspondence) was far too busy concentrating on and playing in the big SCOOP tourney to even be bothered with running out and using the debit card. One can see from all this that the creation of forgeries would have been no simple matter, and in retrospect, the sheer scope of it all explains how some mistakes likely got into the forged efforts. 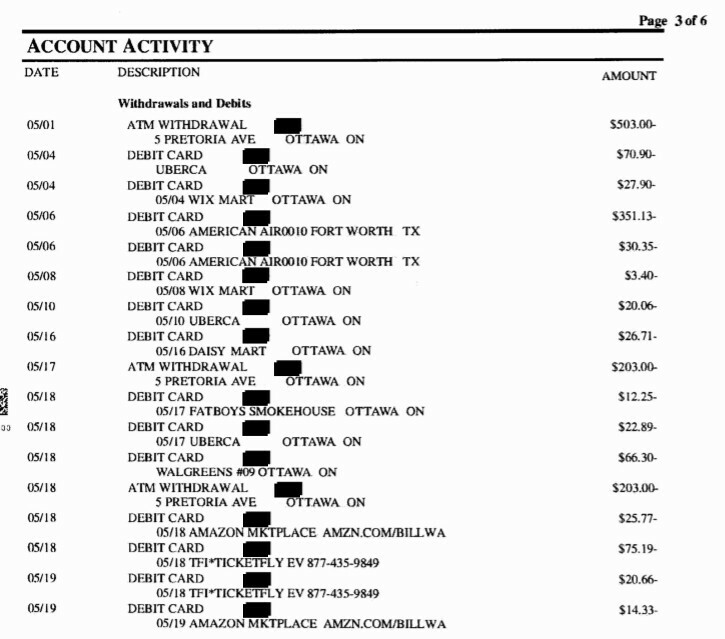 It also explains part of PokerStars’ willingness to make these filings public: The letters from Stern and the stories about the forger and tipster allude indirectly to the possibility of a large, organized VPN-based effort designed to enable illicit play on PokerStars’ site. (There are likely several such large, VPN-based rings.) 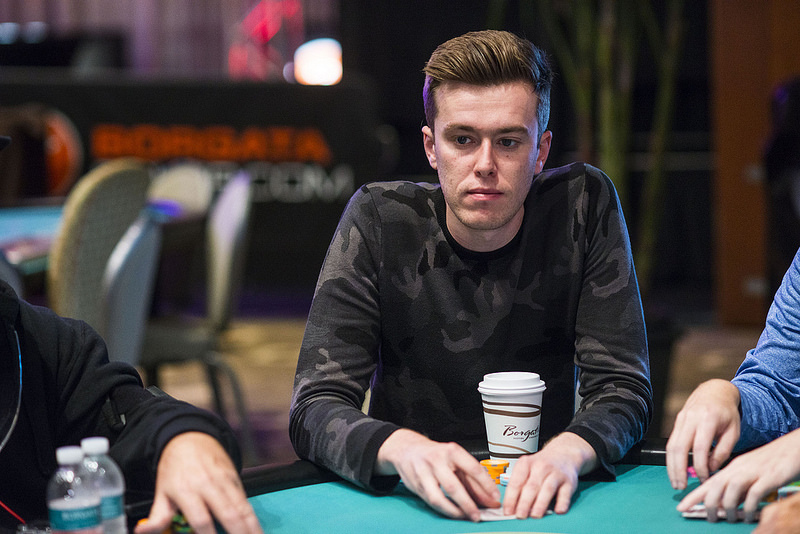 For several reasons, it’s in PokerStars’ interests to quash such organized activity. As for Vayo, it’s likely to be a multiple reckoning from all the self-inflicted damage. He appears likely to lose several hundred thousand dollars to pay for Stars’ legal expenses, and depending on the nature of the deal struck between Vayo and his original attorney, there could be problems there as well. 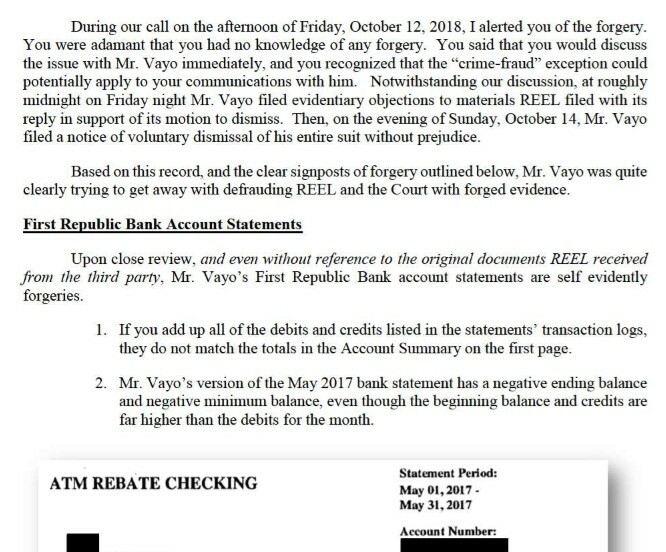 The October 19 letter from Stern to Fayer made a point of highlighting additional legal risks that Vayo could face, including several flavors of fraud, forgery, and breach of contract. 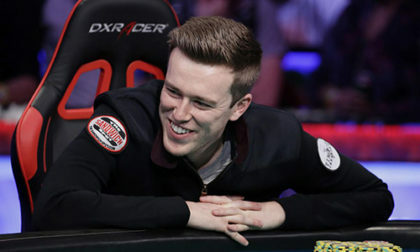 Then consider that the high-flying Vayo, who won well over $4 million as the runner-up in the 2016 WSOP Main Event, has likely destroyed his personal brand as well. It’s likely to be the metaphorical cold day in hell before he gets another product or brand endorsement offer, just to cite one example. We’ll continue to monitor the case for future developments, which could occur on two or three fronts.